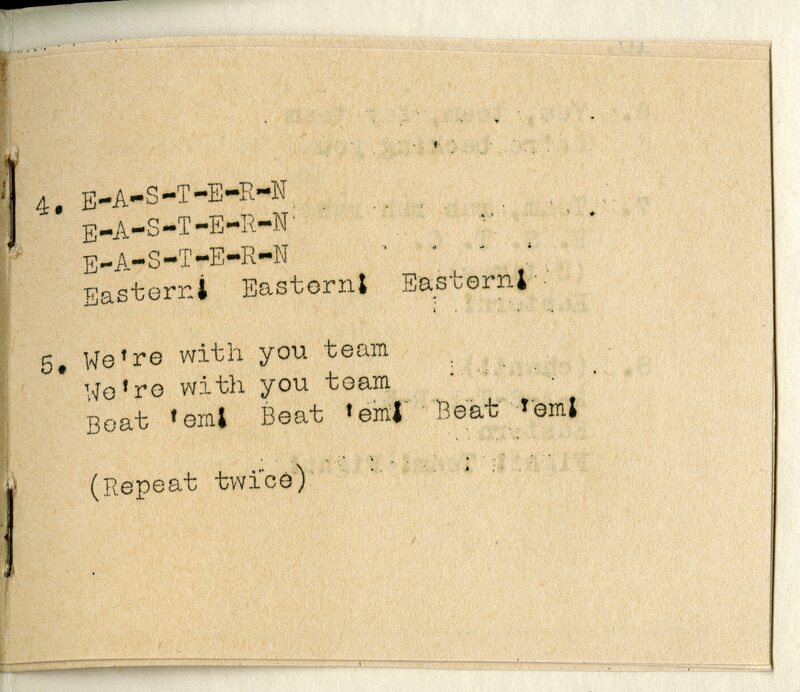 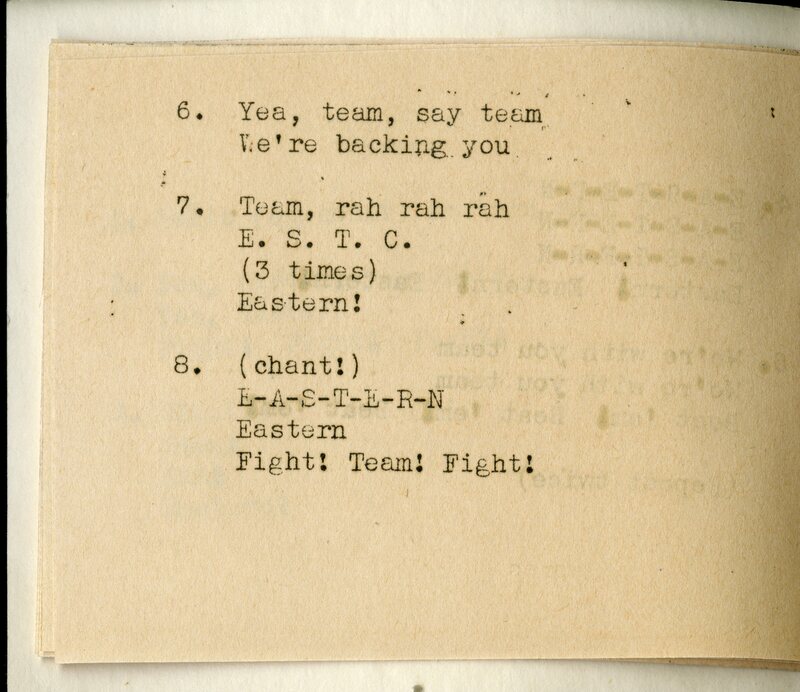 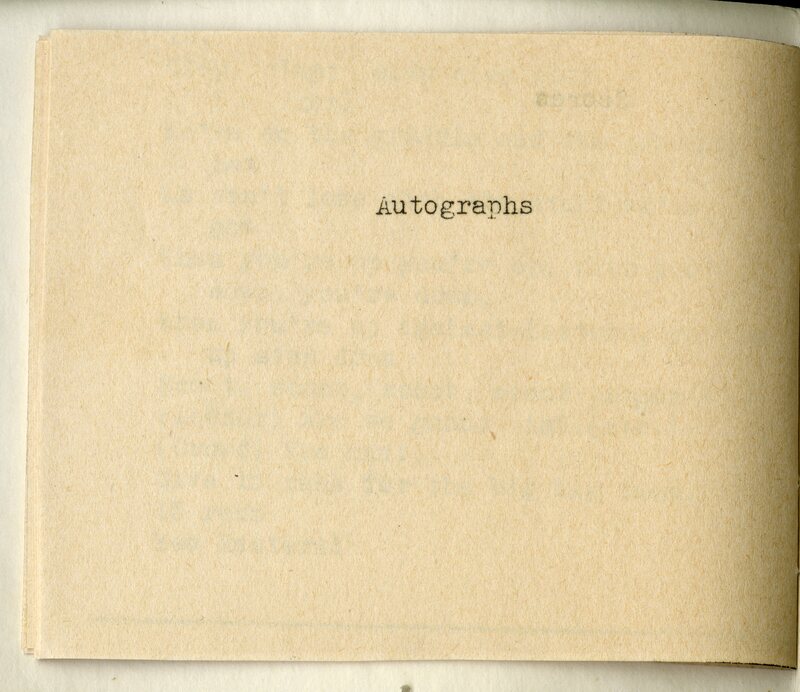 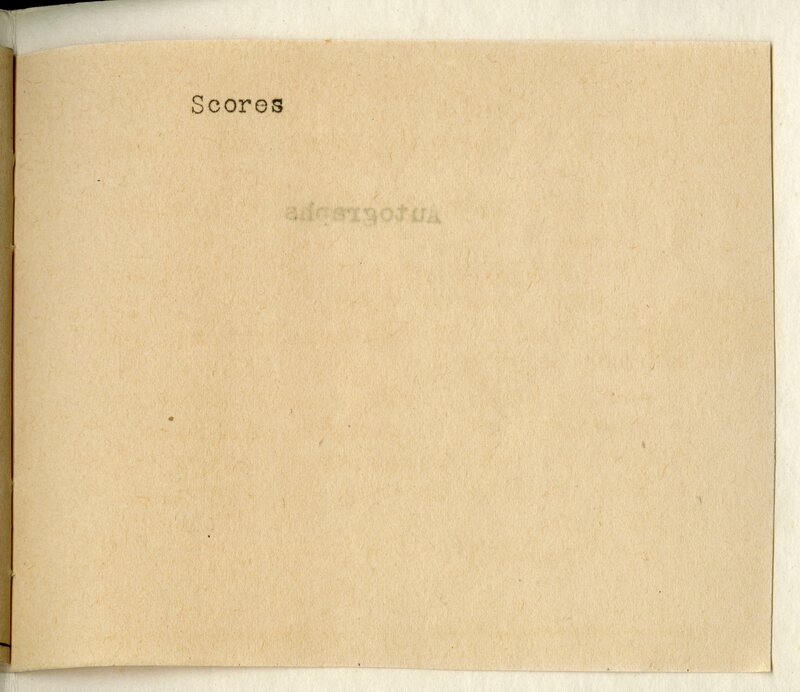 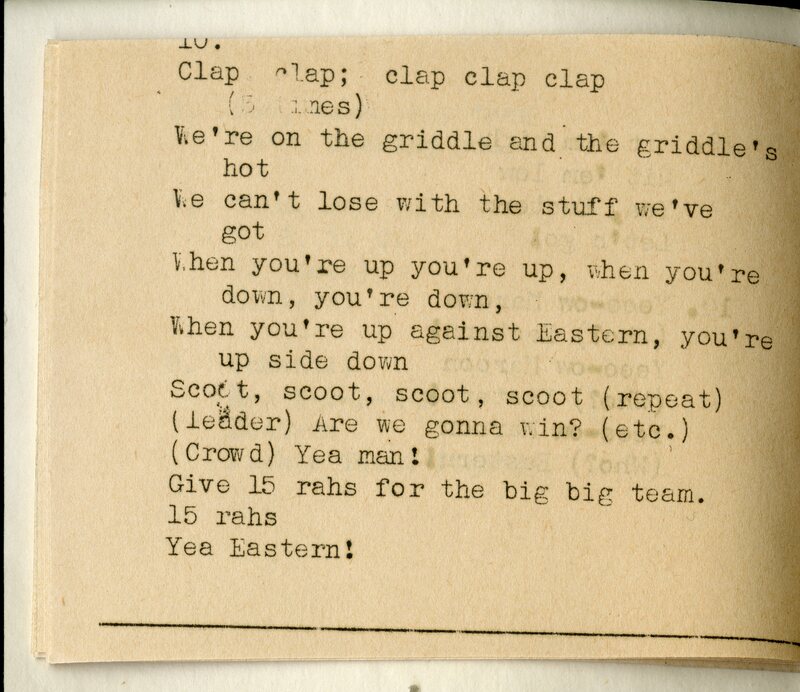 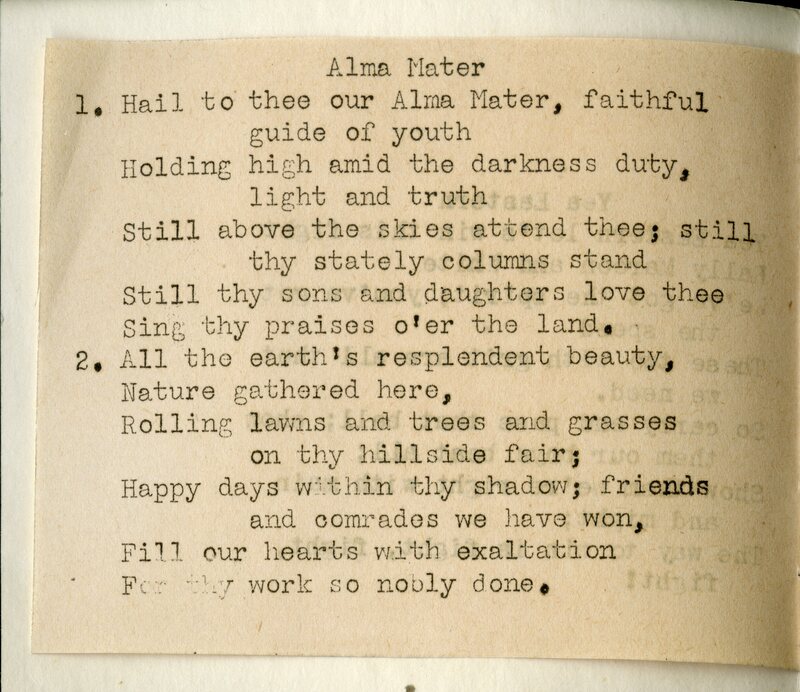 Booklet containing songs and cheers of Eastern including Yea Eastern, Alma Mater, Marching Song, and various cheers. 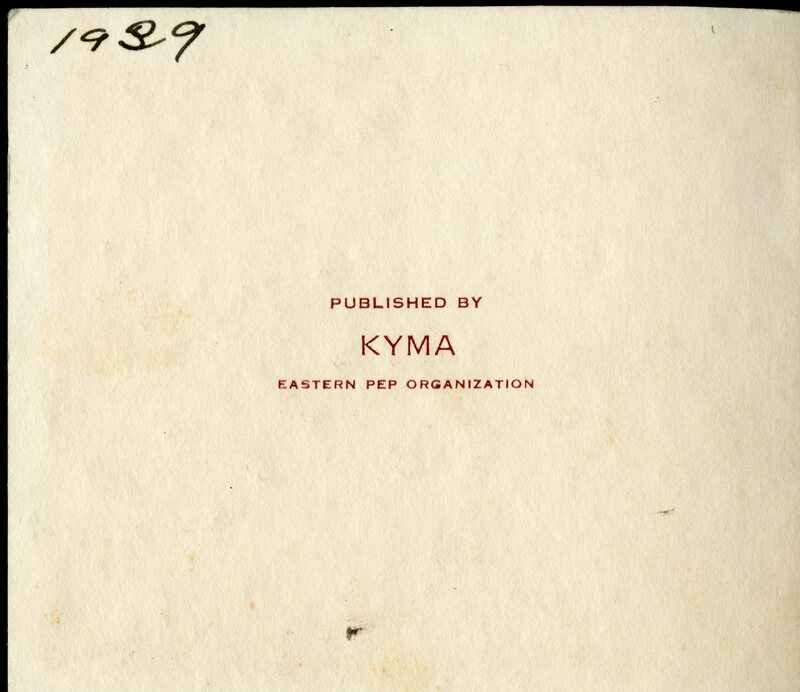 Published by the Eastern Pep Organization. 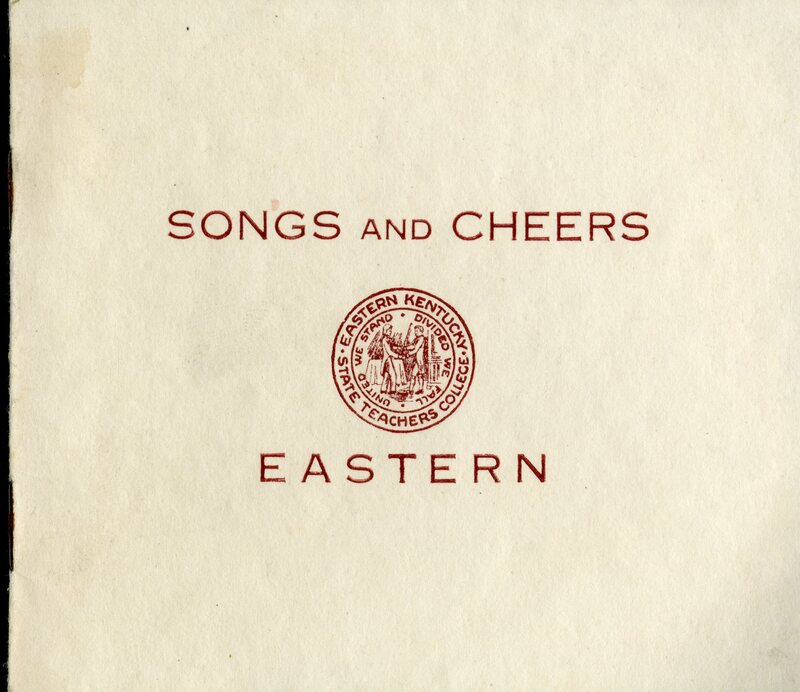 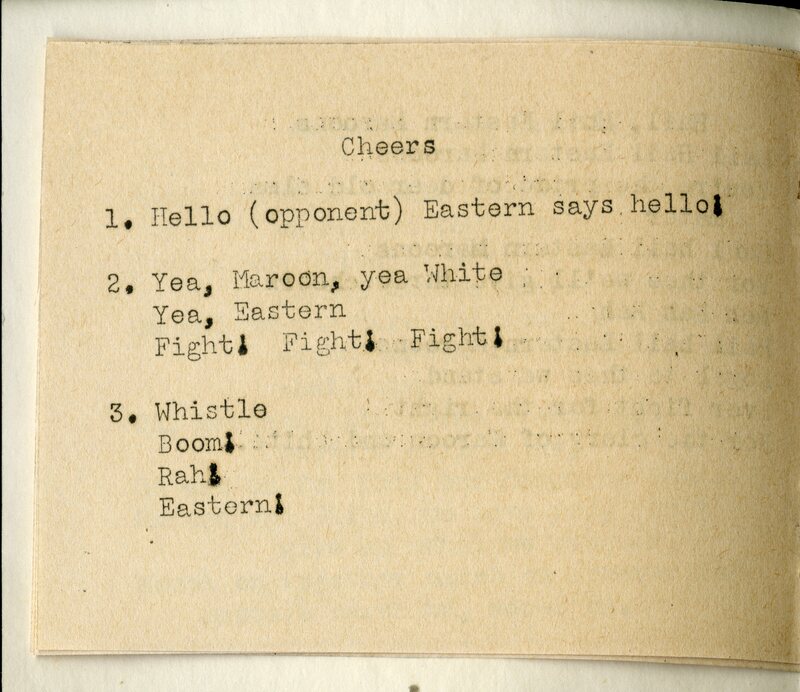 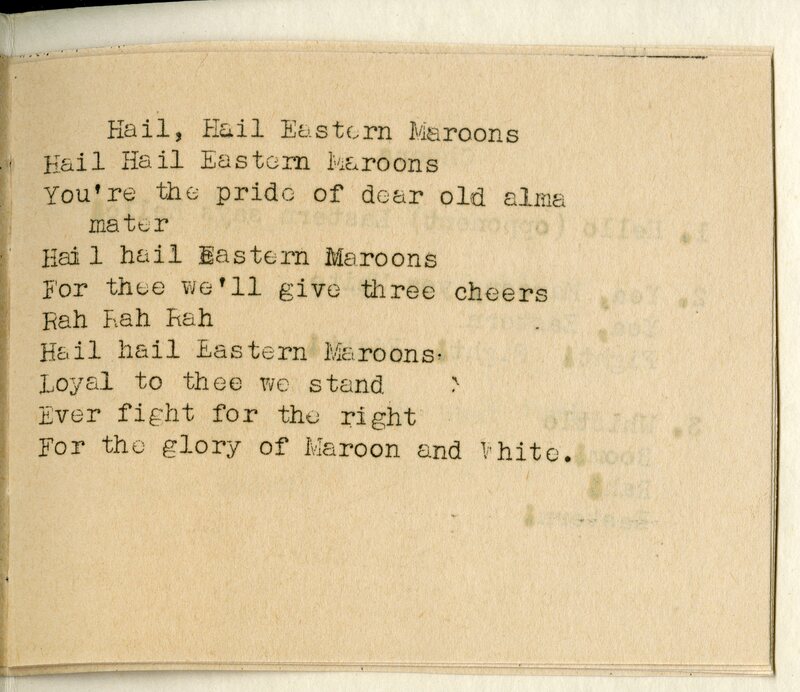 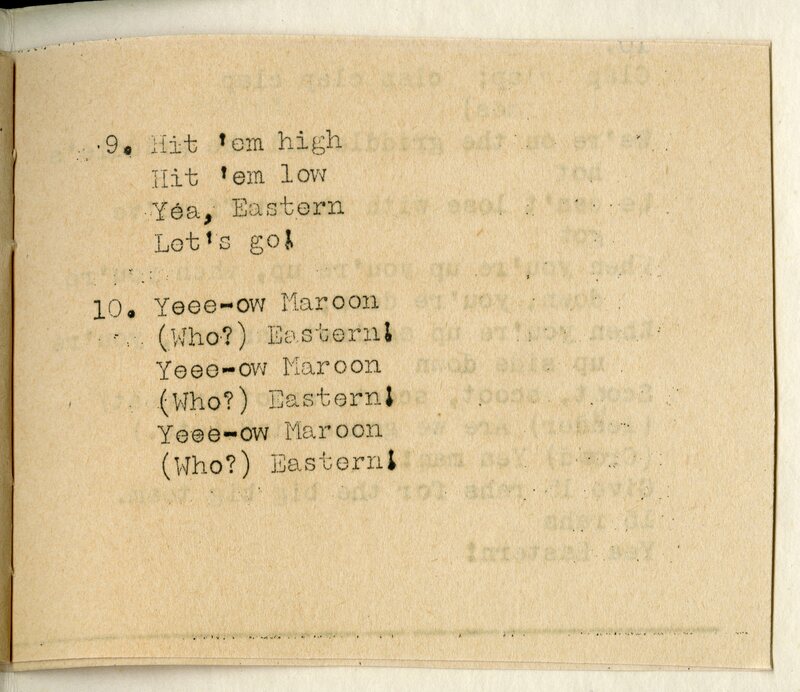 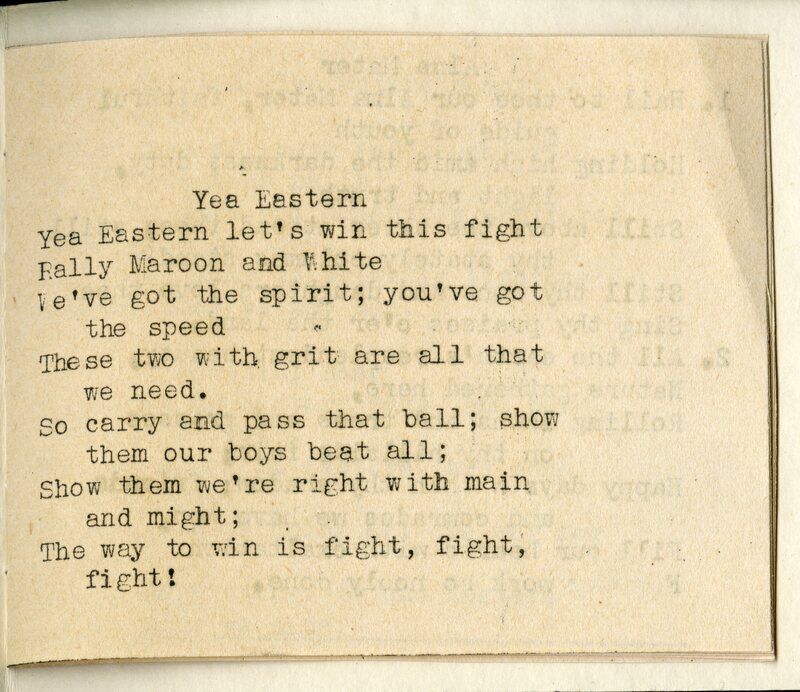 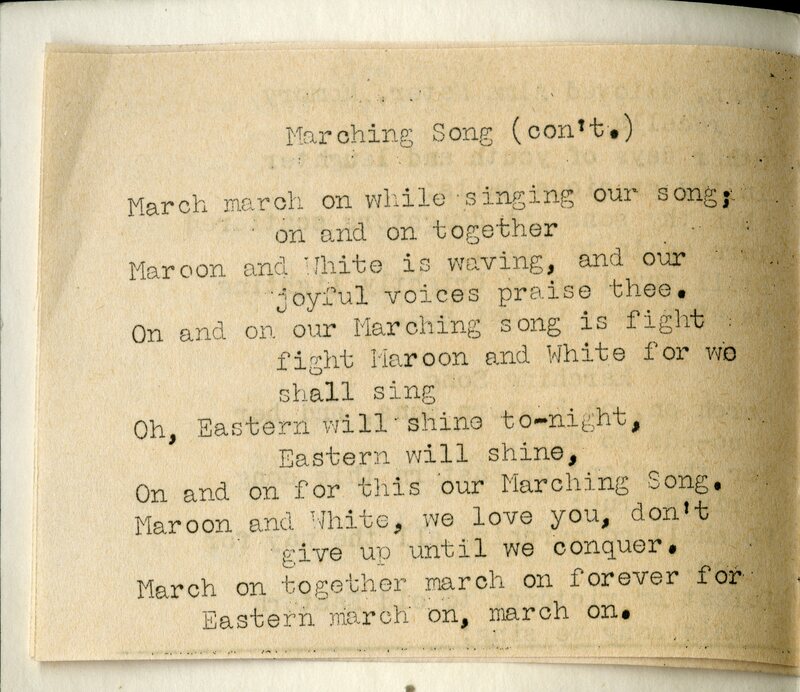 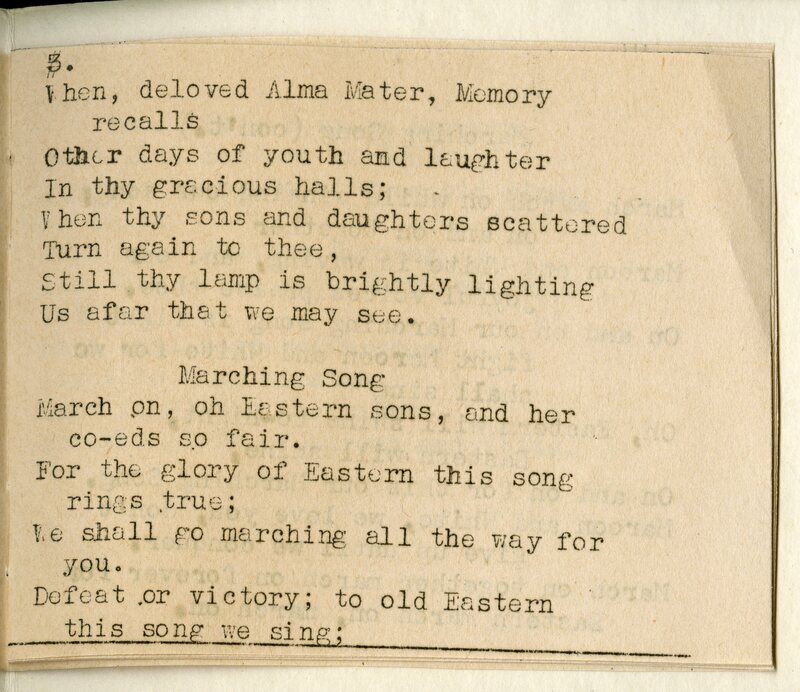 “Songs and Cheers of Eastern,” Digital Collections, accessed April 26, 2019, https://digitalcollections.eku.edu/items/show/34920.